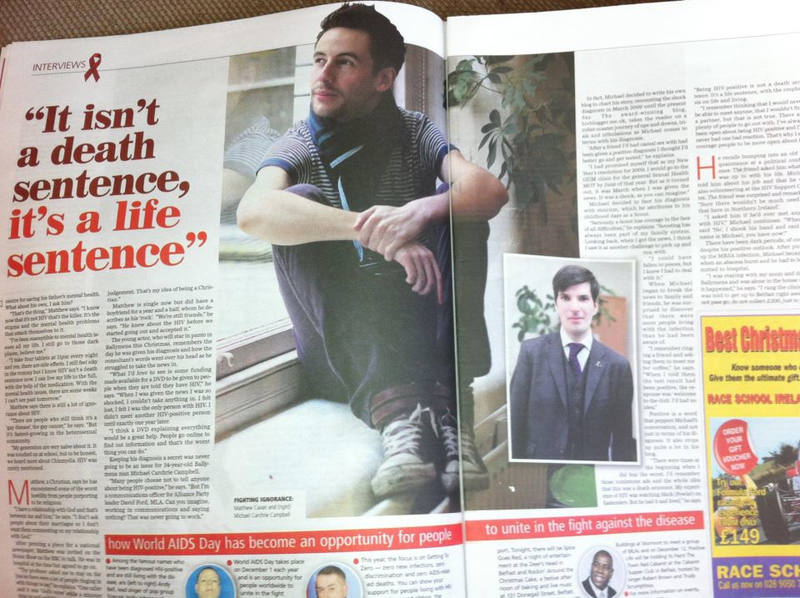 As I think you may have noticed there has been a lot of coverage in Northern Ireland’s media leading up today, World AIDS Day. The photo to the right illustrates how one story can have quite different articles produced in four of the local newspapers yesterday. 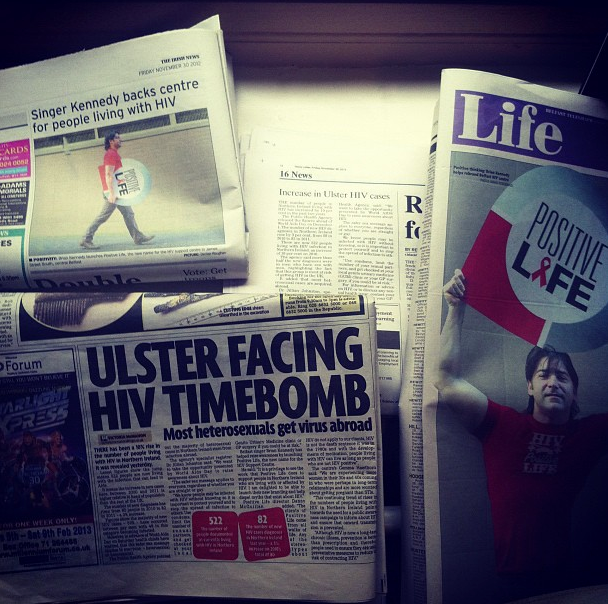 “I remember the time when the worst thing imaginable in Belfast was to be gay… then it was to have HIV” a quote from Brian Kennedy in the Belfast Telegraph. There were two stories dominating the media this year here for World AIDS Day – the rise in infections, and the rebranding of our leading HIV Charity as Positive Life. 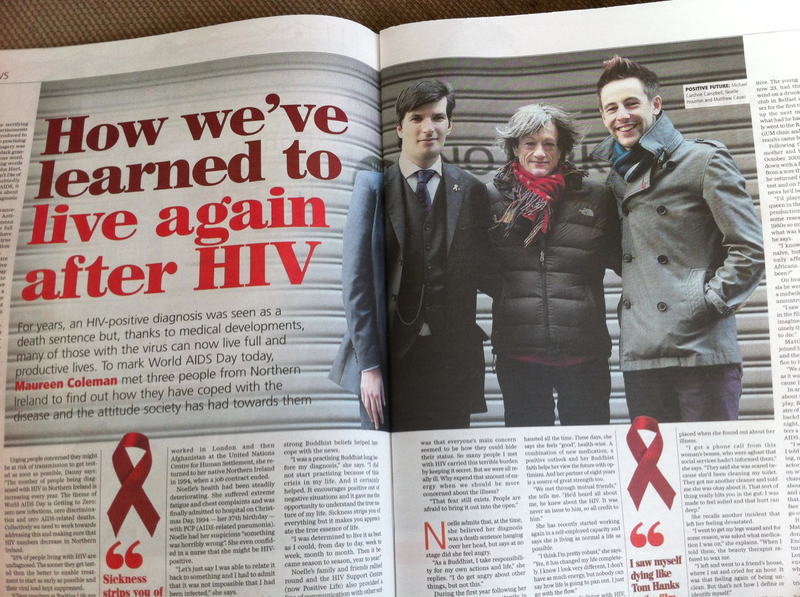 Today there was a four page spread in the Belfast Telegraph‘s “Weekend” magazine with interviews with three of us who are living with HIV in Northern Ireland. made it as one of the major quotes highlighted on the page. 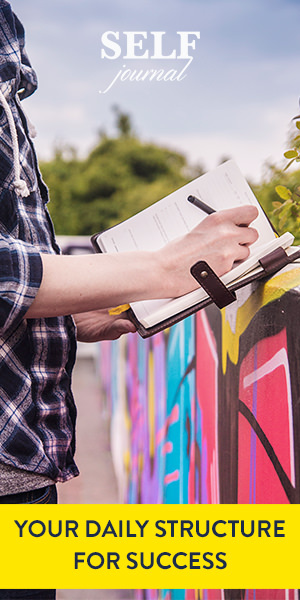 The article, penned by Maureen Coleman, highlights that it is possible to live with HIV, that it is normal for some of us to do so, and that each of us has our own story to tell. Unfortunately, the articles does not appear to be online just at the moment, but you can get a taste of it from the photographs below. there were the interviews with Matthew Cavan and myself used on UTV Live Tonight on Wednesday night, followed by a discussion with Positive Life’s director, Danny McQuillan. 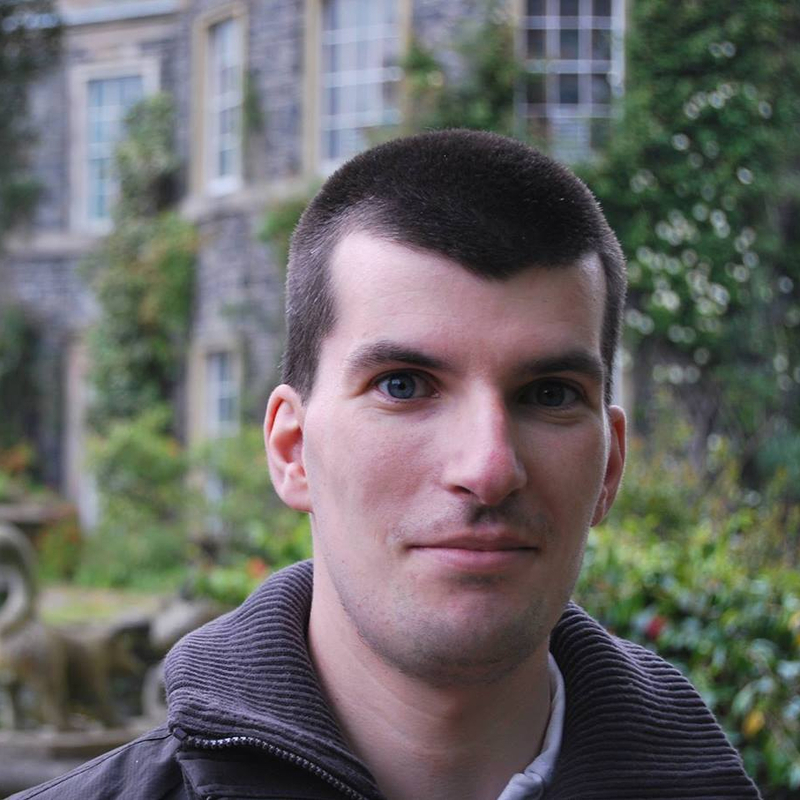 We’ve had coverage on the Stephan Nolan show on BBC Radio Ulster, with an interview with Noelle Houston. We’ve had two members of staff on U105 FM talking about the events that have been happening. There’s been a lot of activity today with young people out in the city centre handing out red ribbons to highlight the issue. 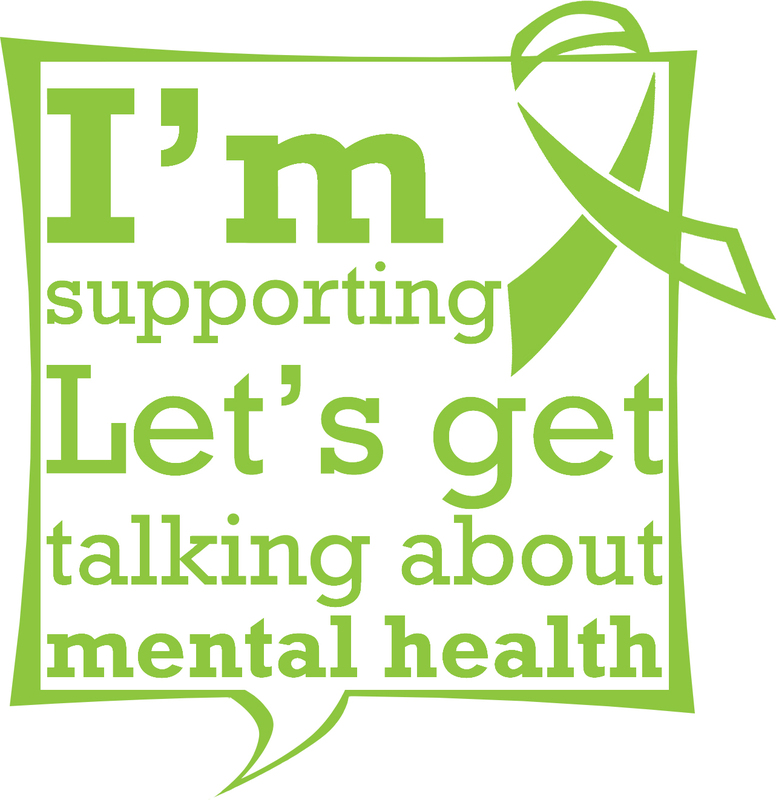 There have been fundraising teams all over the place, and I know that there will be a collection at the Grand Opera House this evening after the performance of The Magic Flute. The GOH has also been lit red to help raise awareness as well. There was a World AIDS Day Service in St George’s Parish Church last night attended by many clients and volunteers from Positive LIfe. But it is not just for World AIDS Day that the activity has been about. It continues from now until we Get to Zero: Zero new infections, Zero discrimination, and Zero AIDS-related deaths. Part of that process will be served by the work carried out by all involved in various HIV charities up and down the UK and Ireland and across the world.